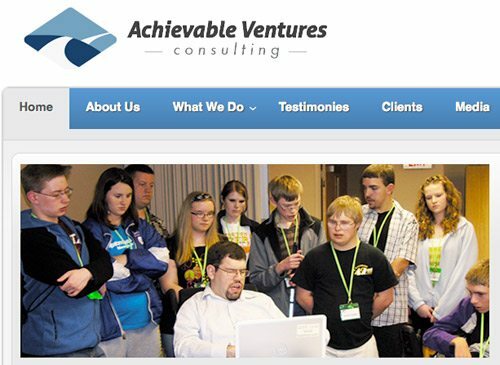 Achievable Ventures Consulting – Grant writing and Plans for Self-Support (P.A.S.S.) writing services. 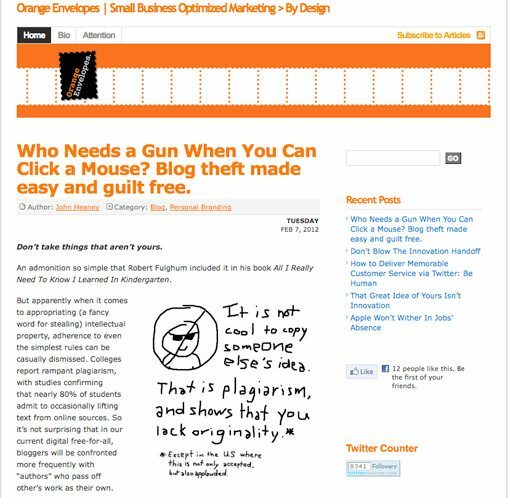 Fonder Brett Glirbas has written here on RMRS about working to overcome disabilities and using style to defy stereotypes. An inspirational success story and a great company. The Bauke Group – Job search and career happiness for everyone looking to change their lives around. 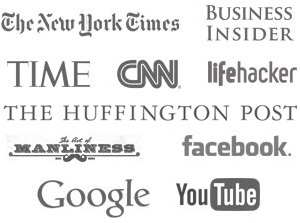 Podcasts, interviews, books, and lots of other good stuff over here. 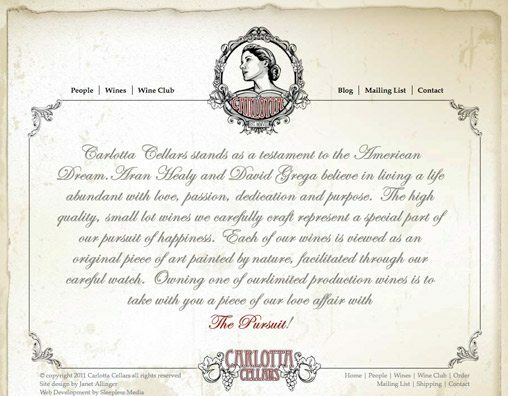 Carlotta Winery – Everyone can use a source for good wine in their life, right? Here’s one of mine. One of the founders, David Grega, is a good friend of mine and an Army combat vet. These are small-lot wines made with real care. 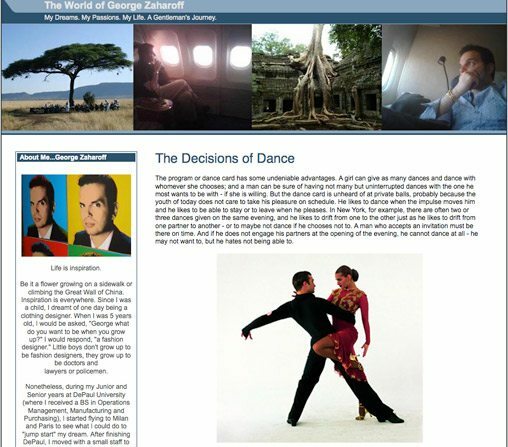 George Zaharoff – George has his own design label that draws inspiration from all kinds of things. You have to love the results — classic menswear with original textures and patterns. This is his blog, which covers everything from his world travels to his dog Piccolo. 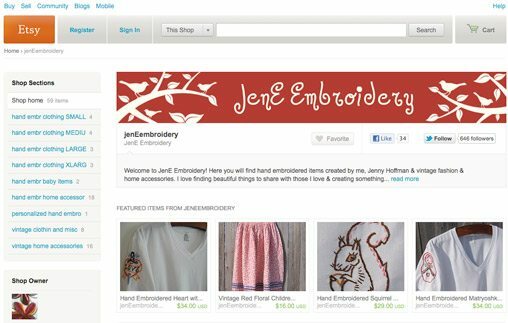 Hand-Embroidery by JenE – Decorative embroidery for shirts and more. Want a monogram that’s a little flashier than just your initials? Check her out. Jen’s a college friend from Cornell College and lives in Wisconsin. LePA Skincare – A first-class spa for anyone in the Austin, TX area. I met Sam Hossa at a trip for Venture Lab’s Investment Competition, where he impressed me with his ideas and his understanding of skin care for men (and with his Air Force background). Sam was kind enough to do an interview here on the site for us. His wife comes from a Slovenian family with European spa experience, and together they’ve made a unique operation right in Austin, TX. E. W. S. Fashion Design Academy – Online sewing, tailoring, and pattern-drafting classes. Great for anyone who’s manufacturing their own product and wants to expand their sewing skills. 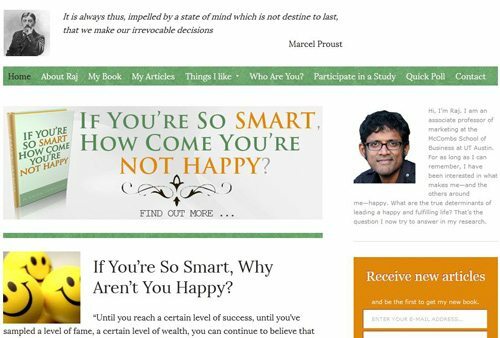 Happy Smarts – If you are so smart, how come you are not happy? What are the true determinants of leading a happy and fulfilling life? That’s the question my friend Raj Raghunathan, an associate professor of marketing at the McCombs School of Business at UT Austin, tries to answer in his research. 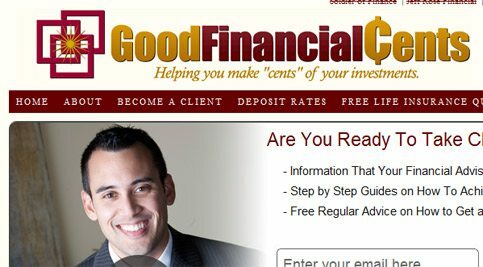 Good Financial Cents – Jeff Rose is an Army combat vet, father, husband, and savvy money manager. He first came to my attention when he guest posted over at the Art of Manliness, and has stayed on my radar because he continues to give solid information about an industry that is confusing to most men. Although I don’t invest with Jeff – I have a college friend in Colorado I use – I think his library of financial articles is solid and well worth your time studying. Also he’s a St Louis Cardinal’s fan. Mixergy – The internet’s best collection of entrepreneur interviews, articles, and private lessons from those who’ve made it big (or failed trying!). 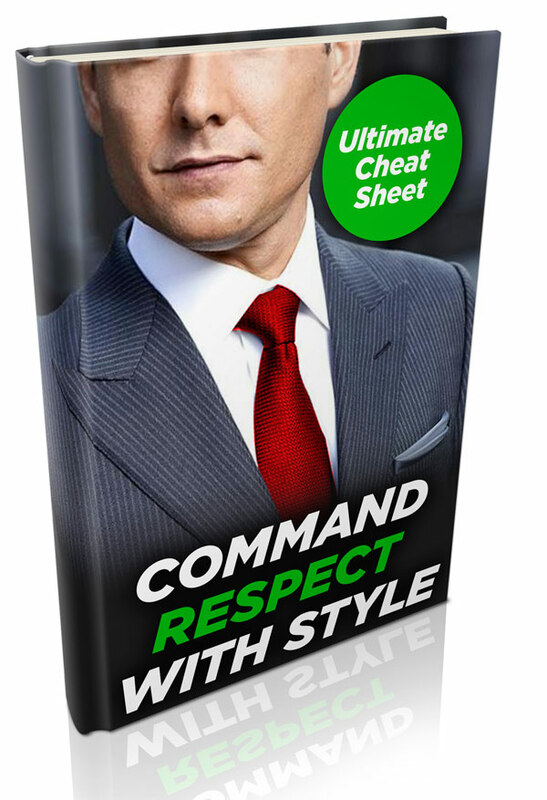 Must-read for anyone starting his/her own business and super important even if you think your business is doing well. 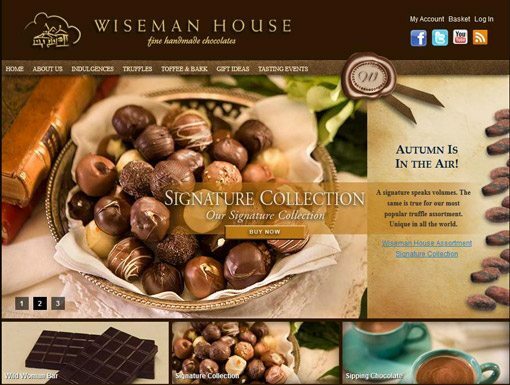 I’m a premium member and think it’s the best membership site on the internet. I can’t recommend Andrew’s site enough! The Rise to the Top – Video interviews with successful businessmen and entrepreneurs, DSG focuses on people who have made their successes (legitimately) online. DSG’s interview style is a bit different, as he likes to have conversations, but don’t let that fool you. The content here is solid and he should be charging for it! So grab it while it’s free. 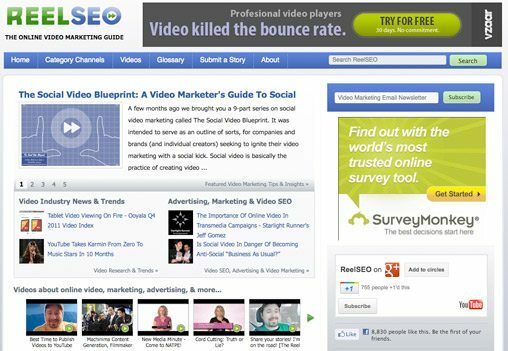 ReelSEO – This is where I go for my video fix – the guys over at Reel SEO are my video consulting team who keep me abreast of the latest and greatest when it pertains to online video. The Workout Corner – A man’s body is the vessel through which he travels throughout life. If he takes care of it – it reflects in other aspects of his life and enables him to succeed because he can think clearly, avoid illness and injury, and signal to others he is healthy. 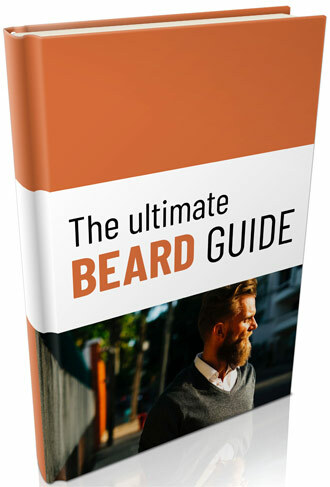 My friend Ryan runs this website, and as that he’s just starting out he’s very accessible – in addition, he has quite a few free videos with solid information on how to improve your physical health.